Aamir Khan (14 years back, Mela in January 2000) – Aamir’s last flop was 14 years back when Mela released in theatres. Mangal Pandey didn’t do too well at the box office, but managed to recover its investment due to the bumper opening that it took. While many consider ‘Dhobi Ghat’ to be a failure, the film was profitable for its makers as it did reasonably well in India (Above Average) and performed very well overseas. Shahrukh Khan (9 years back, Paheli in June 2005) – Shahrukh’s last failure was 9 years back when Paheli bombed at the box office. Since 2005, every single SRK film has managed atleast ‘HIT’ status. Films like Om Shanti Om, Chak De India and Rab Ne Bana Di Jodi were ‘Blockbusters’. Chennai Express is his biggest grosser ever. Salman Khan (5 years back, London Dreams in October 2009) – Veer didn’t do too well the box-office, but didn’t ‘Flop’ either. London Dreams failed, but since 2010, Salman has been unstoppable at the box office. 5 back-to-back blockbusters, followed by an average grosser Jai Ho and his biggest grosser ‘Kick’ – his first film to cross 200 crore. Hrithik Roshan (4 years back, Guzaarish in November 2010) – Hrithik has tried his hand at different genres – a coming of age film (Zindagi Na Milegi Dobara), revenge drama (Agneepath), superhero film (Krrish 3) and an out-an-out action film (Bang Bang) – all have done well at the box office. His last two films managed to gross 300 crore worldwide. Again, consistency-wise, it’s the Khans at the top followed by Hrithik at No 4. Shahid Kapoor (2 years back, Teri Meri Kahaani in June 2012) – Shahid makes it to the Top 5 as his last film that didn’t work at the box office released more than 2 years ago. His last three films have done pretty well – Phata Poster Nikhla Hero (Above Average), R.. Rajkumar (Hit) and Haider (Hit). Sidharth Malhotra (no flops so far) – Sidharth’s debut film Student Of The Year released in October 2012. Since then, all his films have done well at the box office. Hasee Toh Phasee was a average grosser, Ek Villain super-hit. Varun Dhawan (no flops so far) – Like Sidharth, Varun also made his debut in Student Of The Year. His films that followed have all been successful – Main Tera Hero (Hit) and Humpty Sharma Ki Dulhania (Super Hit). Arjun Kapoor (1.5 years back, Aurangzeb in May 2013) – The last year or so have been good for Arjun Kapoor. Gunday, also starring Ranveer Singh, did well. And his solo-film 2 States was a huge hit. Ranveer Singh (1 year back, Lootera in July 2013) – Ranveer’s Lootera received tremendous critical acclaim, but didn’t work at the box office. And Ladies Vs Ricky Bahl aside, the rest of his films have all fared pretty well. Ajay Devgan (1.5 years back, Himmatwala in March 2013) – Himmatwala was a mistake and Satyagraha (Average) didn’t do too well. But Singham Returns rocked the box office this year, recording the highest opening day collections for a film released this year. Ahead of Kick and a record that even Bang Bang couldn’t beat. Saif Ali Khan (1 year back, Bullett Raja) – Saif is badly in need of a hit film. Humshakals took a good opening at the box office, but failed to sustain. Imran Khan (1 year back, Gori Tere Pyaar Mein) – Imran has completely disappeared after the Gori Tera Pyaar Mein debacle last year. Not only was his much-awaited film Once Upon A Time In Mumbaai Dobaraa a failure, but his performance too was severely criticised both by the audience and critics. Can he make a comeback with Nikhil Advani’s Katti Batti? Akshay Kumar (Exactly a year ago, Boss) – For an actor who consistently does 3-4 films every year, Akshay’s success-ratio is pretty good. His last failure was Boss last year, which tanked because it was sold for a high price and released two weeks before Diwali. 2014 has been good – Holiday: A Solider Is Never Off Duty did well and Entertainment was a decent 70-crore grosser too. Ranbir Kapoor (1 year back, Besharam in October 2013) – Ranbir looked unstoppable after back-to-back successes in Rockstar, Barfi and Yeh Jawaani Hai Deewani. Then came Besharam from the director of Salman Khan’s Dabangg. It took a huge start at the box office recording nearly 20 cr on its opening day, but the crash was equally big. His keenly awaited film Bombay Velvet has also been delayed, insiders say the film hasn’t shaped up too well. No release for Ranbir this year. Emraan Hashmi (2 months back, Raja Natwarlal) – Emraan was enjoying the peak of his popularity and stardom when he decided to take a break from Mahesh Bhatt’s brand of cinema. He instead opted to explore different genres and work with bigger banners. What followed were films like Shanghai, Ek Thi Daayan, Ghanchakkar and Raja Natwarlal. Nothing worked. The much-delayed Ungli looks promising though. AAMIR KHAN IS KING OF BOX OFFICE. @indicine shanghai released before raaz 3 .. Plz correct… Since raaz3,only 3 under-performers – etd,ghanchakkar n raja natwarlal. Though sites declared etd n ghanchakkar as average. Great article. From where do you get the thought for these. 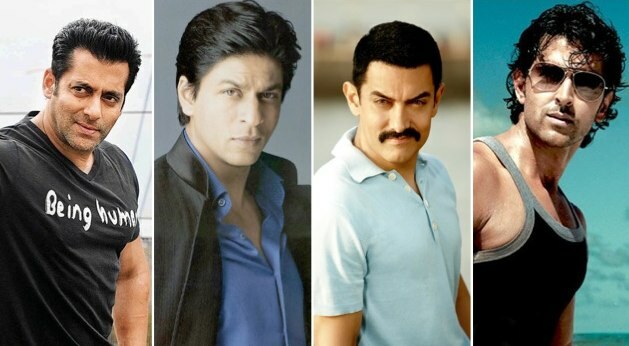 Dont compare Aamir wid anybody…if u want to compare,compare b/w srk/Akshay.But keep Aamir aside. AAmir is more than BO..
Nobody else can beat him be it BO or quality. He has given some of d greatest movies of Bwd . Lootera was a below average/average,not a flop. There are 2 type of people. .
1. The one who like Aamir. .
2. The one who claim that they hate Aamir, but still watch his movies secretly. Shahrukh has been easily the most conistent actor over the years.. No doubt he has proved his versatility too by giving hits in every possible genre! SRK the Biggest Mega star of bollywood….! Over all, Hrithik rules in all catagories. Aamir and HR do films sporadically..so there is always a good build up and anticipation for their films,so chances of their film being flop are too less.. But Raone was Flop due its big budget 151 cr. Plz consider this fact. That’s why SRK is the King….. I think his career is almost finish with the advent of Varun,Sid,arjun,ranveer who have now cemented their place quite well..
Imran khan will end up being a Abhishek Bachchan,who has to survive on multistarrers for success..
@Babaji, Imran will find it difficult to even get multi-starrers. Abhishek still gets films because he is Bachchan and a decent actor too. Imran needs Aamir quickly before he fades away. so,last flop of SRK was Cult Classic,Best Movie of Bollywood Swades. @Missing Happy New Year and all others, stop posting links to BOI or any other site because that is not going to change anything. BOI keeps changing verdicts very frequently. there will be no more flop of any khan i think could be average but flop i dont think so.